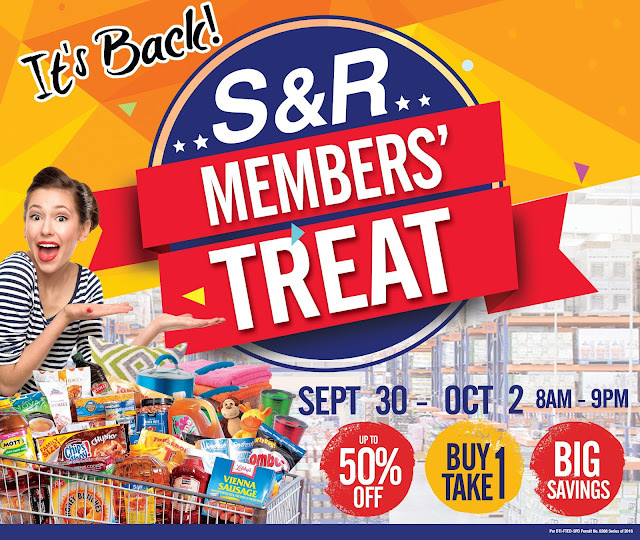 Come ​September 30 to October 2, 2016, S&R CDO will hold its Members Treat. This means lots of buy 1, take 1 offers and up to 50% discount offers as well. I don't know if this doesn't make you EXCITED! but with me, I can't wait to get my ice cream fix this coming Sept. 30! Ben and Jerry's Ice Cream is at Buy 1 Take 1 in all S&R clubs! Not only with Ice Creams but there will be sale items on health and beauty, imported snacks, imported grocery, imported ice cream, frozen, fresh, produce, home, bakery. What are you waiting for? 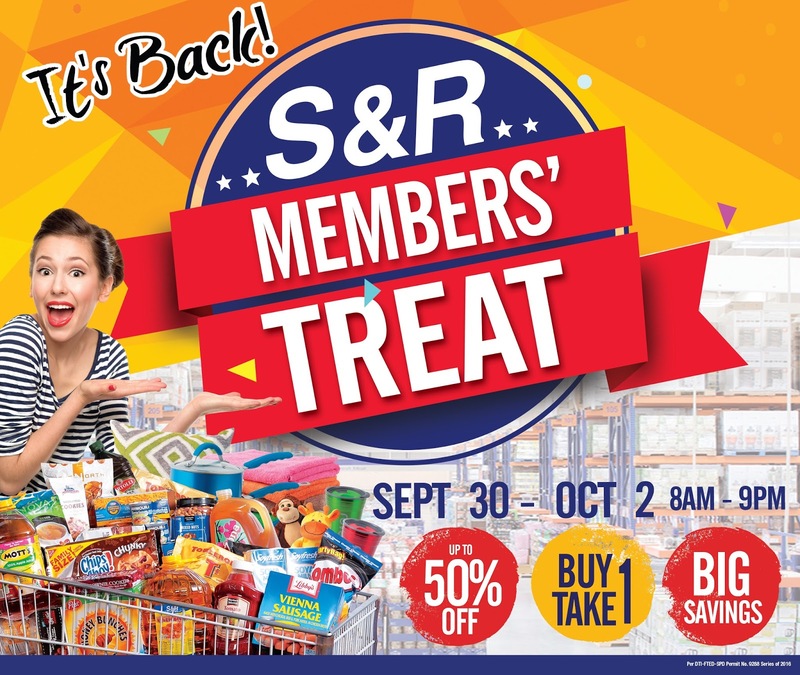 Reserve a schedule now for S&R visit on September 30 to October 2, 2016 and I will see you there coz I will be shopping for my favorite S&R treats!